Draft: 2011, San Francisco Giants, 7th rd. Had Tommy John surgery during his senior year at Coughlin (PA) High School...He recovered from the surgery and played college baseball at the University of Pittsburgh for the Panthers from 2009 to 2011...Black tore his right meniscus during an offseason workout before his sophomore season at the University of Pittsburgh...Soon afterward, he sustained a fractured right hand when he and a roommate were accosted in an attempted robbery...After being drafted by the Giants he missed his first two professional seasons (2012-13) after undergoing shoulder surgery to repair a torn labrum...Doctors said he had a seven percent chance of a full recovery...He also underwent an arthroscopic elbow cleanout in 2017...Considered quitting baseball in 2017 and returned to Pennsylvania to work on the family farm...Was assisting at a youth camp when he realized he was no longer feeling pain in his elbow. Had his contract purchased from triple-A Sacramento on July 8 and made his Major League debut that day against the Cardinals...recorded just one out and allowed a pinch-hit, three-run homer to Matt Carpenter... had waited almost eight years since being drafted by the Giants in 2011 to make his big league debut...Tossed 10.1-consecutive hitless innings from July 10-August 5…prior to Black, the last Giants' reliever to toss 10.1-or-more consecutive innings without allowing a hit was RHP Yusmeiro Petit, who tossed 12.1-hitless innings from July 26-August 23, 2014...Earned his first career win on August 5 at Arizona, tossing 1.0-scoreless inning of relief in SF's 3-2 victory...Optioned to triple-A Sacramento following the game on August 19 and was recalled from triple-A for the second time when rosters expanded on September 1...Recorded 33 strikeouts in 23.1 innings of work for the Giants (12.73 SO/9.0ip)...Went 3-0 with a 3.16 ERA (9er, 25.2ip) and a 0.90 WHIP in 26 games overall for the River Cats...recorded 46 strikeouts in just 25.2 innings of work...Started the season with double-A Richmond and allowed one earned run in 10.0 innings of work (0.90 ERA) with 20 strikeouts and four walks in 10 games. Deemed "the most explosive fastball in the Mi- nors' according to MLB.com, Black and his 104- mph fastball entered the '16 season ranked as the 16th-best prospect in the Giants' farm system...Got off to a hot start in 2016, converting his first two save opportunities while striking out five over 2.0 innings...finished second on the team with six saves...Missed two weeks in July while on the seven day DL and missed nearly a month in Aug.-Sept. with a right elbow bone spur. Spent his third professional season with the San Jose Giants (A), going 2-1 with a 2.88 ERA in 20 games (five starts)...struck out 51 batters in just 25.0 innings pitched....Began the season on the disabled list with a strained lat...was also on the DL from May 22-June 13 (bicep)....Moved into the starting rotation upon his return from his second DL stint and went 0-1 with a 4.66 ERA in five starts. After missing his first two professional seasons due to injury, the right-hander split the 2014 campaign between Class A Augusta and Class A Advanced San Jose, going 2-3 with a 3.57 ERA along with 71 strikeouts and just 16 walks in 37 relief appearances...Working on a strict schedule in an effort to get him through the year without any significant injury setbacks (never pitching more than 1.0 inning plus multiple days off in between outings), he fanned 71 batters in 35.1 innings, mainly in Augusta, for an 18.1 strikeouts per 9.0 innings ratio...Was promoted to San Jose in late August for the Giants' playoff push and made four relief appearances in the Cal League...Was added to the Giants' 40-man roster in November 2014. His rehabilitation should have lasted 12-13 months, slating him for a return to action in 2013, however more setbacks moved his return to spring 2014, where he lit up 100 mph on radar guns…he made it through camp healthy and was assigned to Augusta where he fired his first professional pitch April 3, 2014. Suffered a tear in his right labrum and underwent shoulder surgery in 2012 before throwing his first professional pitch...Had impressed coaches and staff in his first spring training in 2012, however about 4.0-5.0 innings in and about a week before breaking for teams, he felt a sharp pain in his shoulder…had lost a lot of velocity and after four months of rehab it was decided that the best route was going to be labrum surgery...Following the surgery he was given a 33% chance of ever throwing again. April 20, 2019 Sacramento River Cats placed RHP Ray Black on the 7-day injured list retroactive to April 19, 2019. 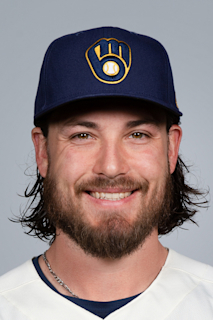 March 19, 2019 San Francisco Giants optioned RHP Ray Black to Sacramento River Cats. September 1, 2018 San Francisco Giants recalled RHP Ray Black from Sacramento River Cats. August 20, 2018 San Francisco Giants optioned RHP Ray Black to Sacramento River Cats. July 8, 2018 San Francisco Giants selected the contract of Ray Black from Sacramento River Cats. May 10, 2018 RHP Ray Black assigned to Sacramento River Cats from Richmond Flying Squirrels. April 1, 2018 RHP Ray Black assigned to Richmond Flying Squirrels from AZL Giants Black. August 17, 2017 RHP Ray Black assigned to AZL Giants. April 4, 2017 San Francisco Giants released RHP Ray Black. April 2, 2017 San Francisco Giants designated RHP Ray Black for assignment. March 6, 2017 San Francisco Giants optioned RHP Ray Black to Richmond Flying Squirrels. November 7, 2016 Ray Black roster status changed by San Francisco Giants. September 3, 2016 San Francisco Giants recalled RHP Ray Black from Richmond Flying Squirrels. September 3, 2016 San Francisco Giants placed RHP Ray Black on the 60-day disabled list. Right elbow bone spur. August 8, 2016 Richmond Flying Squirrels placed RHP Ray Black on the 7-day disabled list. July 29, 2016 Richmond Flying Squirrels activated RHP Ray Black from the 7-day disabled list. July 13, 2016 Richmond Flying Squirrels placed RHP Ray Black on the 7-day disabled list. March 14, 2016 San Francisco Giants optioned RHP Ray Black to Richmond Flying Squirrels. October 5, 2015 San Francisco Giants recalled Ray Black from San Jose Giants. June 14, 2015 San Jose Giants activated RHP Ray Black from the 7-day disabled list. May 22, 2015 San Jose Giants placed RHP Ray Black on the 7-day disabled list. May 16, 2015 San Jose Giants activated RHP Ray Black from the 7-day disabled list. April 7, 2015 San Jose Giants placed RHP Ray Black on the 7-day disabled list. March 16, 2015 San Francisco Giants optioned RHP Ray Black to San Jose Giants. November 20, 2014 San Francisco Giants selected the contract of Ray Black from San Jose Giants. August 22, 2014 RHP Ray Black assigned to San Jose Giants from Augusta GreenJackets. May 3, 2014 Augusta GreenJackets activated RHP Ray Black from the 7-day disabled list. September 18, 2013 Augusta GreenJackets activated RHP Ray Black from the 60-day disabled list. August 1, 2013 Augusta GreenJackets transferred RHP Raymond Black from the 7-day disabled list to the 60-day disabled list. January 30, 2013 Raymond Black assigned to San Jose Giants. June 20, 2012 Raymond Black assigned to AZL Giants. August 2, 2011 San Francisco Giants signed RHP Raymond Black.